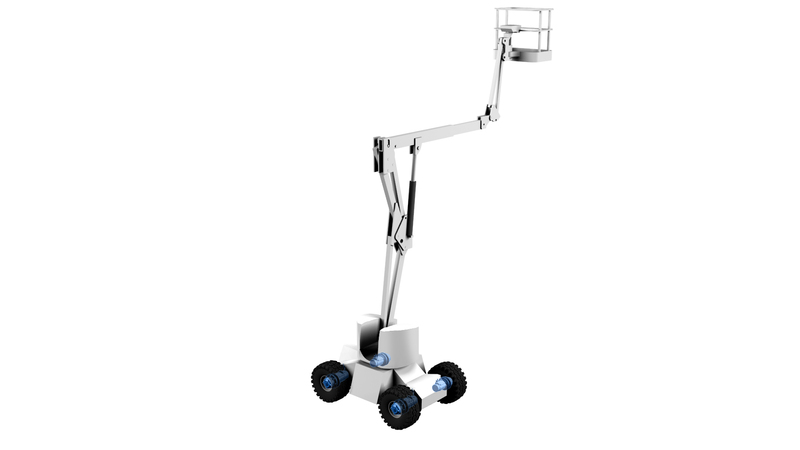 Bonfiglioli 605WE wheel drive series with electric motor is robust and compact solution for hybrid aerial platforms. The 605WE wheel drive, designed and developed by Bonfiglioli, has been created in cooperation with one of our customer for a new innovative hybrid aerial platform. Bonfiglioli 605WE, which provides an output torque of up to 10.000 Nm, is a 3-stage gearbox with a fully-integrated 8kW electric motor and parking brake that guarantees maximum efficiency and compact size. The integration of all the components in an optimized space gives the machine builder the opportunity to benefit from a cost-effective solution easy to maintain. Thanks to the direct-mounting flange, it is also easy to install. 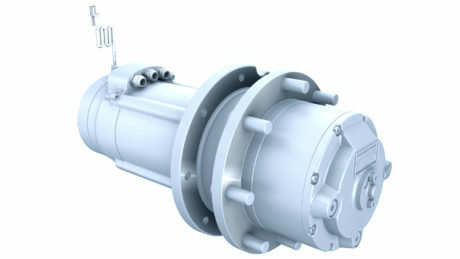 The 605WE series perfectly adapt to both hybrid and electric applications. Bonfiglioli 605WE wheel drive series. Lift Application; 605WE wheel drive series with electric motor. The special degree of protection (IP67) and the special painting coupled with high torsional resistance wiring makes it suitable for four-steering wheel vehicles, even in harsh environmental conditions faced in any construction site. The proven field tests have certified Bonfiglioli’s capacity to design, develop and create robust tailor-made solutions, perfectly adapted to its customers ‘requests and needs. The wide range of solutions, the great quality of the products as well as the advanced technology associated with Bonfiglioli team of experts make the company stand out as the ideal partner for machinery manufacturers in the construction sector. Bonfiglioli is a worldwide designer, manufacturer and distributor of a complete range of geared motors, drive systems, planetary gearboxes and inverters, which satisfy the most challenging and demanding needs in industrial automation, mobile machinery and renewable energy. Bonfiglioli serves more industries and applications than any other drive manufacturer and is a market leader in many sectors. Established in 1956, Bonfiglioli operates in 21 countries, with 14 production facilities and over 3,600 employees worldwide.